1. 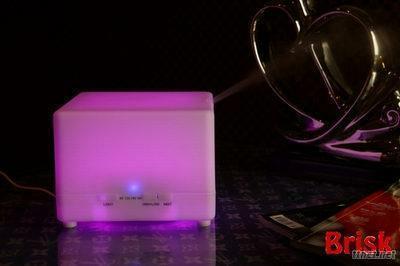 Humidify, purify, aromatherapy, decorate, beautify function. 2. Drop in water and essential oil or perfume make a very comfortable place. 3. Colorful LED can be used as a beautiful light for the room. 5. Different pretty colours, any your designs can be customized. 9. Applicable Area: About 50-60 Square meters. 10. Accessories: AC adapter, water measuring cup, manual instruction.